Charter boat fishing in Southwest Florida is a unique and one-of-a-kind experience for visitors. Getting out on the water and experiencing Florida in its most natural environment is an excursion you must witness from a boat. 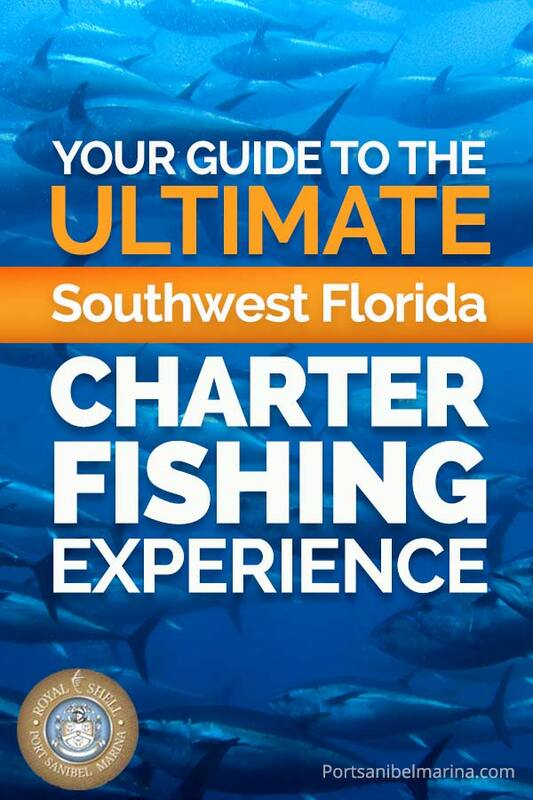 Follow our guide to the ultimate Southwest Florida charter boat fishing experience. There is a variety of fish you can catch at certain times of year in the Gulf of Mexico, which gives you more variety and more opportunities to catch fish. Follow our saltwater fishing tips to increase your chances of catching fish on your charter boat fishing experience. We also have the reasons why saltwater fishing trumps freshwater fishing. Currently in Southwest Florida, tarpon can be found off the shores of Florida. Did you know that the area is known as the Tarpon Capital of the World? Follow our tarpon fishing guide to master the art of tarpon fishing and learn how to appreciate “The Silver King” of the water. In just a couple of months, you can also catch redfish by utilizing these redfish fishing tips. It is always a good time to go boating and fishing on Sanibel Island. It is always a good time to go boating and fishing on Sanibel Island. The types of fish you can catch off the shores of Sanibel Island are endless. Knowing the ins and outs of the area and the best places to go fishing are crucial though. Review our boating and fishing guide to learn more. Whether you are along the Intracoastal Waterway or miles offshore in the Gulf, you need to follow the rules and regulations for renting a boat. Every state has different license and age requirements for renting boats. You must know how to review boat rental agreements and schedule charters so there will not be any hurdles the day you arrive at the marina for your boat outing. For example, boat rental operators and charter operators should also provide the safety equipment you need for all of your guests prior to leaving the dock. We will teach you the tips you need to know about boat rentals on Sanibel Island. Any time of the year is a good time to have a charter boat fishing trip in Florida. 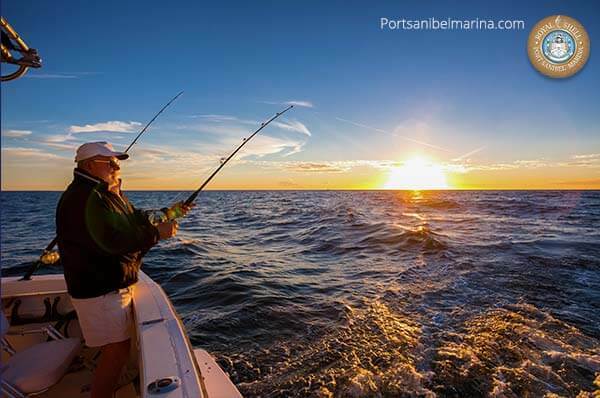 To experience all that Southwest Florida has to offer, it’s time to book a fishing charter through Port Sanibel Marina. Bill Hammond of Endless Summer Charters is on hand to help you and your friends and family plan the perfect fishing outing in the perfect fishing spot. “We can help you with your hunt and overall fishing experience,” Hammond says. Any time of the year is a good time to have a charter boat fishing trip in Florida. 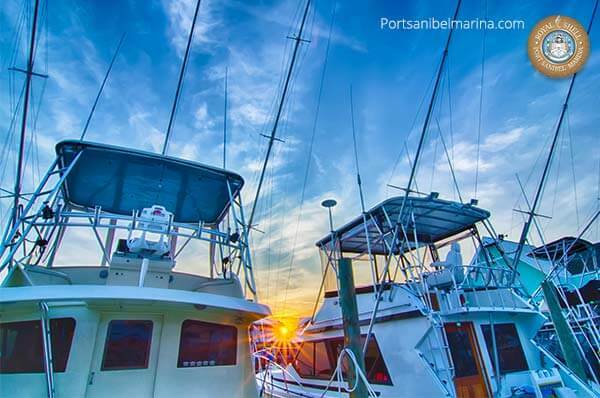 Rent a boat and schedule your charter boat fishing trip at Port Sanibel Marina today. Our fishing partners will help you and your friends map out your fishing trip on the water. Give us a call at (239) 437-1660 to schedule your watersport activities today.